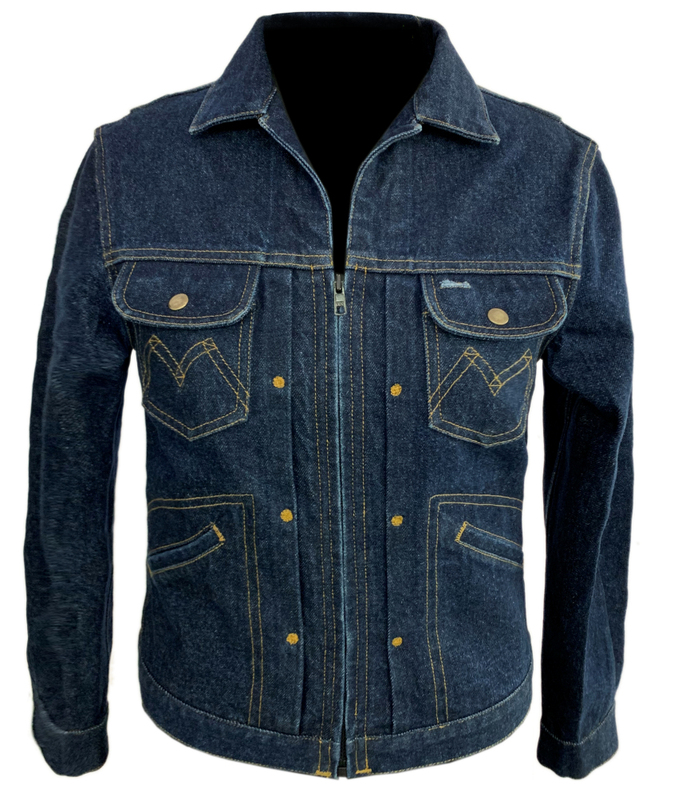 This retro denim waist-length jacket features a zippered front closure flanked by brass-riveted pleats, two snap-flapped pockets and two hand warmer pockets. 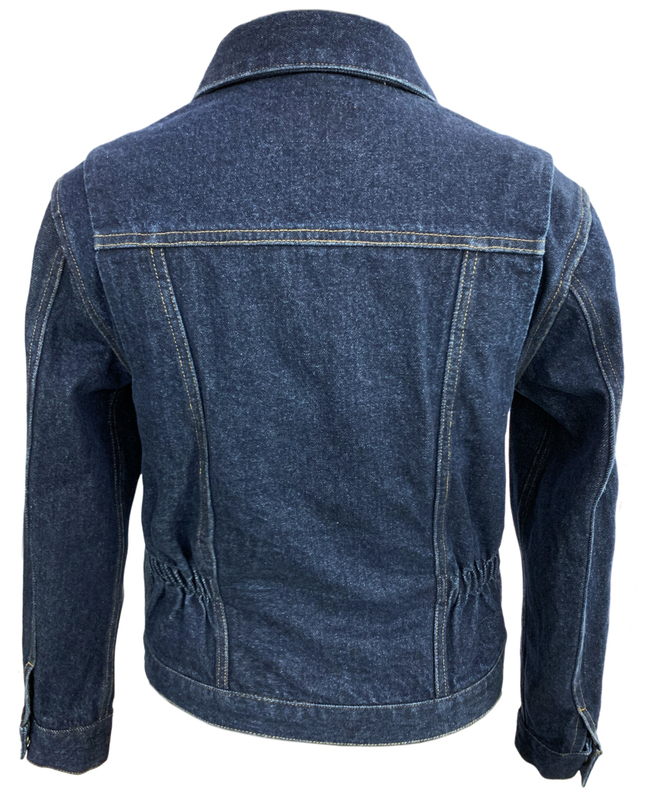 The back features shoulder gussets and elasticated sides for extra shape. 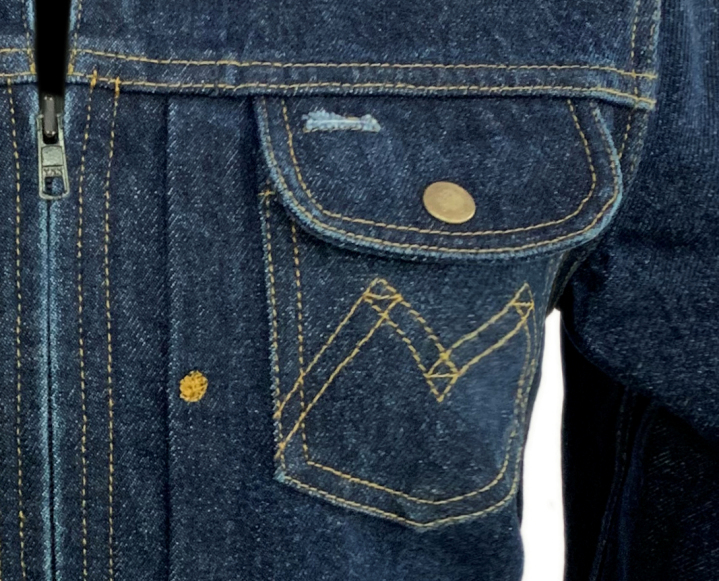 Made in a classic blue denim with contrasting stitching. 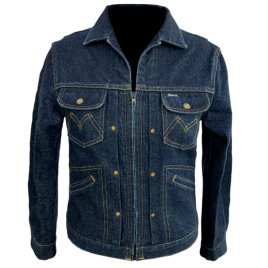 Comes unlined as standard, but can be lined by request for no extra charge.